Patients will now be able to be airlifted to Boston's Pilgrim Hospital after the opening of a new helipad. People needing emergency treatment at the Lincolnshire hospital can be flown to the helipad at the nearby Boston Aerodrome. 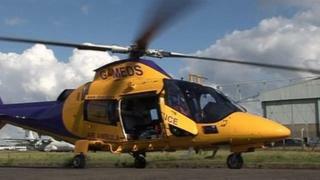 It will be used by the Lincolnshire and Nottinghamshire Air Ambulance, and has been fitted with lights so the helicopter can take off at night. The land has been donated by the Boston Aeroclub. The club also built a road up to the helipad, so land ambulances can drive safely up to it for transfers. Lincolnshire and Nottinghamshire Air Ambulance pilot, Captain Tim Taylor, said: "The site at Boston will be ideal for airlifting emergency cases to the Pilgrim Hospital or for transfers from the hospital to specialist major trauma centres across the country. "Given its location it will also be a useful addition to the network of landing sites in case of bad weather or mechanical problems." 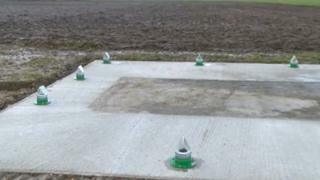 The lights were funded by a £6,000 donation from Lincolnshire Lions Clubs.